4. Good for Stress and Anger Management. 5. To enlighten and brighten our negative mood. 6. Good for Self-improvement skills and Exercise our Neuron Brain. 7. 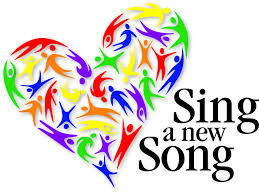 To build up our CONFIDENT through Singing a New language New song. 8. Sing a Song TOGETHER can unite the World Harmony. & Personality towards " Leading By Good Example ". 10. Respect The World Song, Music and Language Education Day for Charity. Singing new Japanese Songs & at the same moment learning BASIC Japanese Language can make your learning process more interesting to communicate to each others in a positive and curious way of " New World Discovery "
Clean and Organized Cities with Polite Manners. Venue : FUJI INTERNATIONAL BASIC LANGUAGE SCHOOL, SUNWAY. ON YOUR JOURNEY TO STUDY IN JAPAN !